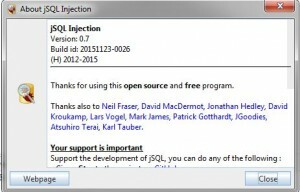 Browse: Home / JSQL Injection v-0.7 released : a java tool for automatic database injection. 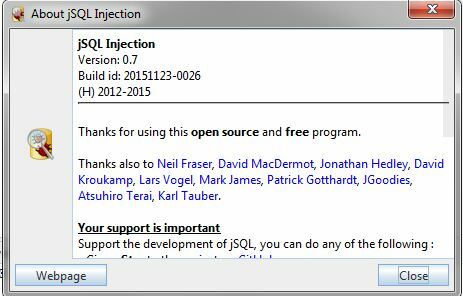 jSQL Injection is a lightweight application used to find database information from a distant server. 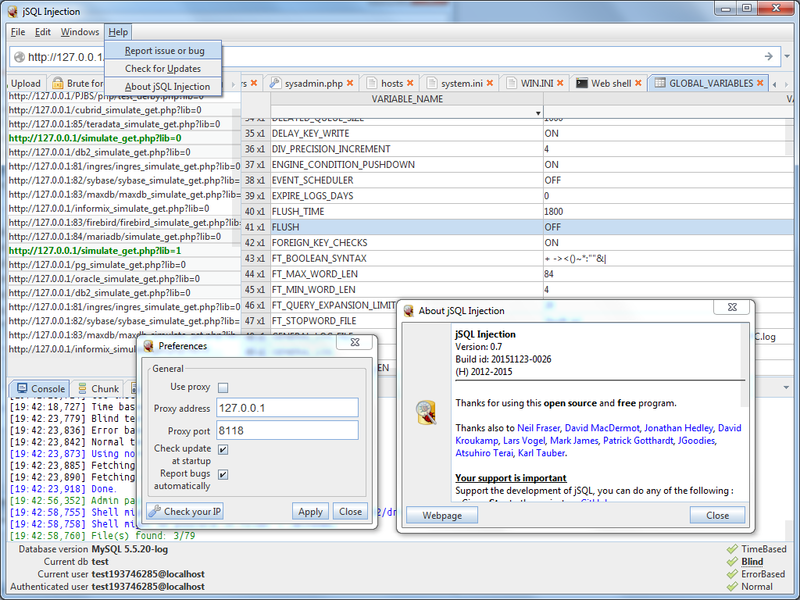 jSQL is free, open source and cross-platform (Windows, Linux, Mac OS X, Solaris). Kali Linux logo jSQL is part of Kali Linux, the official new BackTrack penetration distribution. jSQL is also included in Black Hat Sec, ArchAssault Project and BlackArch Linux. Attacking web-server is illegal without prior mutual consent. The end user is responsible and obeys all applicable laws. Developers assume no liability and are not responsible for any misuse or damage caused by this program. ← Yosuo v-2.0 released : is A ruby script that scans for vulnerable & exploitable 3rd-party web applications on a network.